Philippine Airlines introduces Premium Economy on their new A350 nonstop service between London and Manila from 15 September 2018. 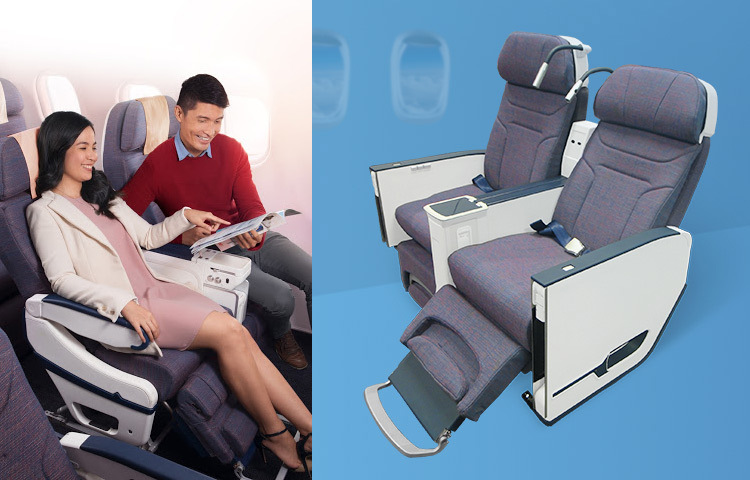 You will benefit from enhanced seat features and upgraded service. You will be given priority at check in, boarding and baggage claim. You will also enjoy generous baggage allowance. You will be served welcome drinks, welcome hot and cold towels to freshen up before take off. Your meals and snacks will be served with enhanced meal tablescape to tickle your appetite. The cabin is much more spacious with only 24 seats with configuration of 2-4-2. Have a relaxing flight with wider seats of 19 inches seat width and generous seat pitch of 38 inches, compared to economy’s 33 inches, to give you that extra leg space. 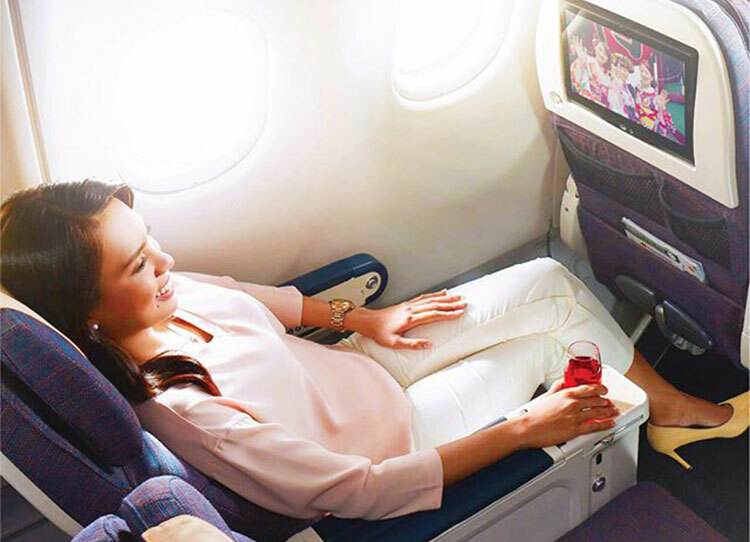 Stretch your legs and enjoy the comfort of premium economy’s seat recline and leg rest. Get immersed with the A350’s latest inflight entertainment and Wi-Fi connectivity. Pair your own device through MyPAL Player app with your personal TV to use it as a remote control to browse over 300 hours of content and feel the time fly by. Find comfort and ease that suit you most. Rest plays a pivotal role in any long-haul flight. With the new A330’s fully-adjustable 4-way headrest for Premium Economy seats, finding the perfect position for a power nap will be as simple as napping itself. Safely store your personal items within reach. Keep your personal belongings safe with a mesh pocket placed conveniently in front of you. Stay connected and fully-charged while in flight. Each Premium Economy seat is equipped with an in-seat power supply to keep your gadgets fuly-charged and ready for use. This allows you to conduct your day-to-day business or simply enjoy your own device even at 30,000 feet in the air. 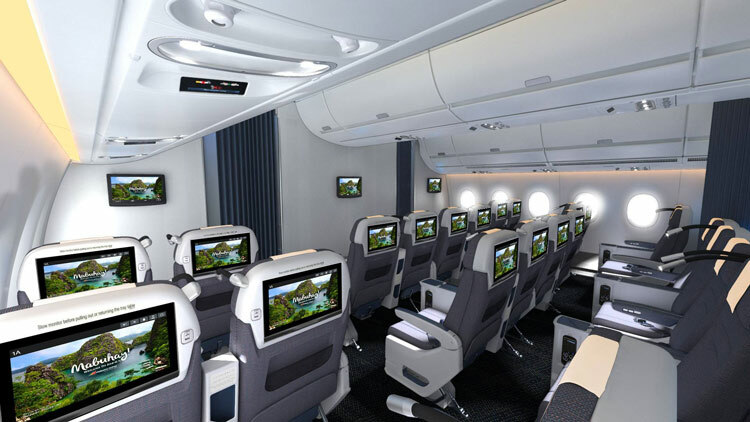 With Premium Economy service, you will feel that you’ve reached your destination in no time.